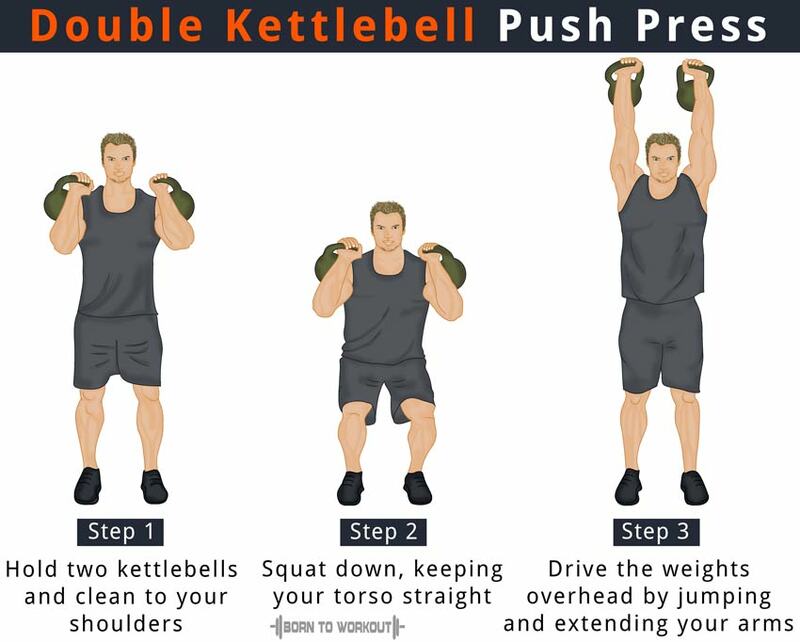 The Kettlebell Push Press is one of the most effective exercises to burn fat, build more muscle, and boost your endurance. This explosive workout sculpts your shoulders, traps, and triceps, building core stability and generating power from the lower-body. It will not just help you generate more strength but also improve your metabolism, balance, and stability. Grab the kettlebell and pull it towards the shoulder after extending it through your legs and hips. Make your palm face forward by rotating the wrist. This is the starting position. Bend your knees to lower your body, but keep the torso straight. Immediately drive through your heels in the opposite direction to jump and create a momentum. While doing so, extend your arms and press the kettlebell to the lockout position above your head. 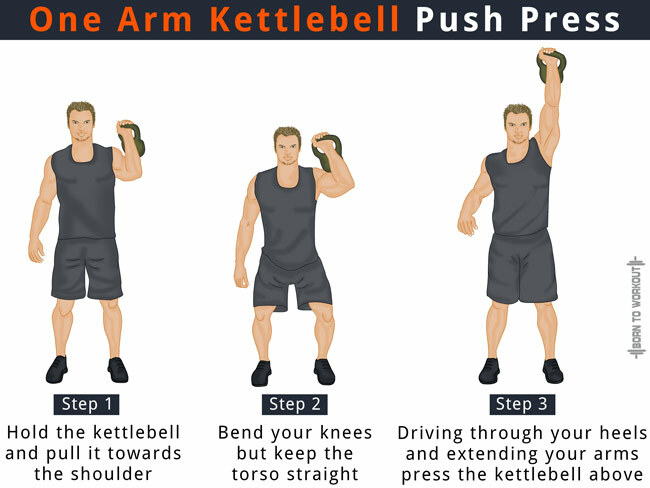 Lower the kettlebell and return to the starting position to do the desired number of reps. Hold two kettlebells by their handles and clean to your shoulders. This is the starting position. Squat down a little, keeping your torso straight. Rapidly reverse the motion and drive the kettlebells above your head by using the momentum from your legs. Once the weights are in the locked out position, lower them to your shoulders to perform the next rep.